The Wolf and the Lamb. 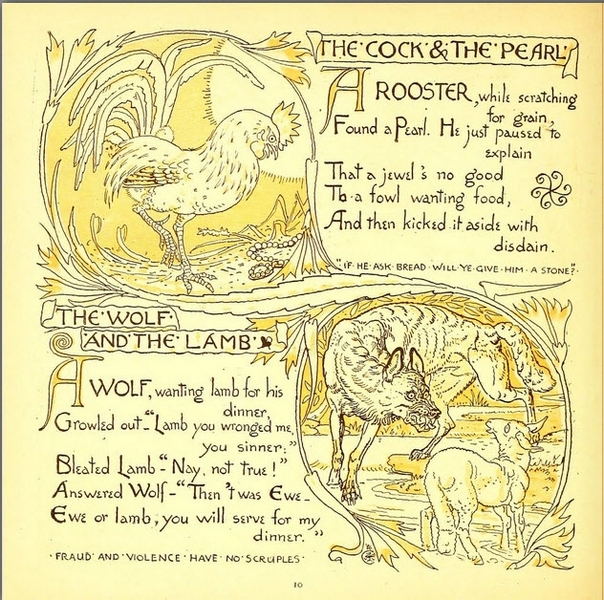 Illustration from Baby's Own Aesop drawn by Walter Crane. A wolf tricks a lamb intobecoming hs meal. The lesson is that fraud and violence have no scruples.